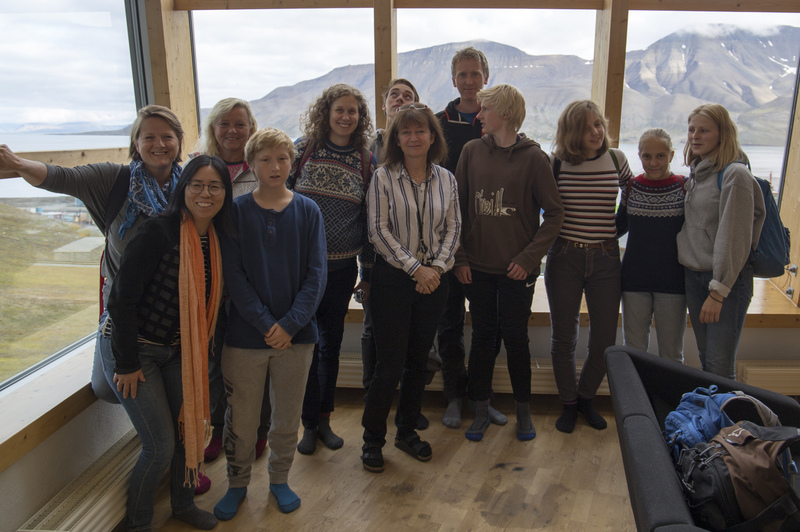 The REGIMES project, including students from Amalie Skram High School in Bergen, and Lisbeth Iversen, researcher at the Nansen Center for Remote Environmental Sensing in Bergen, representing the INTAROS project, are on a research field trip to Svalbard this week. 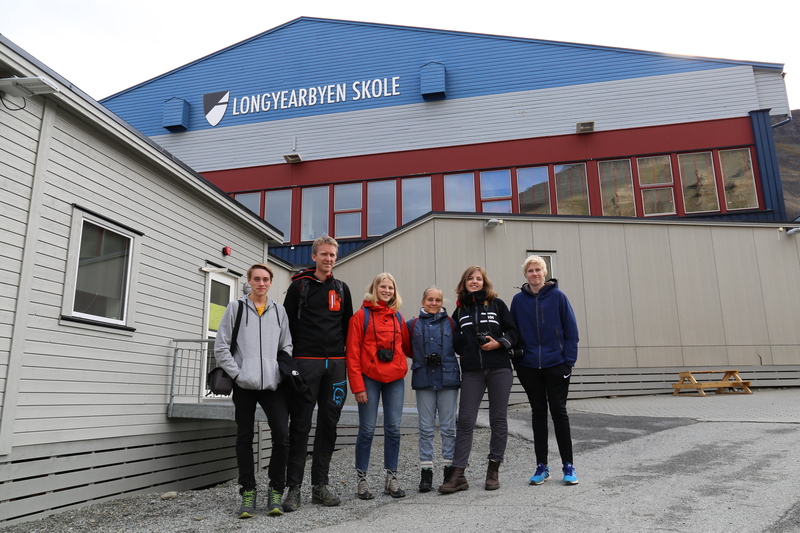 Tuesday the 8th of August we visited the Longyearbyen school and had the opportunity to ask questions about the everyday life in Longyerbyen, at school, and about challenges like heavy rainfall, avalanches, melting permafrost, ice-free fjords, etc. 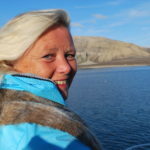 We were told that Longyearbyen has changed a lot over the years, from a society based on mining and industry, lacking a local political management, to a society with a local council or board of politicians, established in 2007. Many people nowadays want to stay here also after they retire, and even some young people who spent their childhood here, are coming back here to study or work. 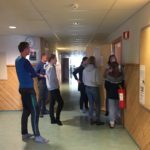 Longyearbyen is to a larger extent becoming a place were a more stable society is developing, even though a lot of people still only live here for shorter periods. Since just some people live here for several years, the collective memory is lacking compared to other cities where people live their whole life, and pass on information about the possibilities and dangers of the place to the next generations and to newcomers. This means that it is very important to give a lot of information and warnings to people who come to spend some time here. 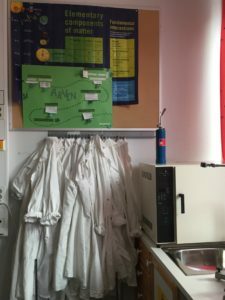 Research about local environmental conditions is also very critical in order to try to predict what could be possible climate scenarios in the short and long term. Some people who have been living here for many years, are experiencing climate change in many ways. There is no ice on the fjords in the winter. This is creating challenges when it comes to transport to areas that earlier could easily be accessed by skiing og snowmobile. The permafrost is melting, pushing up wooden fundaments of houses and buildings and creating challenges for the infrastructure like pipelines and roads. This also causes problems at the local church yard. Students experience that the floor in their homes are uneven, and that doors in their houses need to be adjusted several times a year. There has been an increasing amount of avalanches, damaging houses and causing deaths. 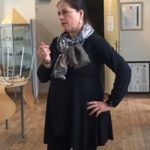 Still, people often become attached to the place, and a local governance and political leadership is strengthening the possibility of a more stable and long term settlement. People feel they have roots and history deep in the permafrost here, and now the permafrost is melting. 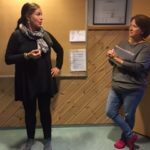 What will this mean for the sense of place for the inhabitants of Longyearbyen in the future? 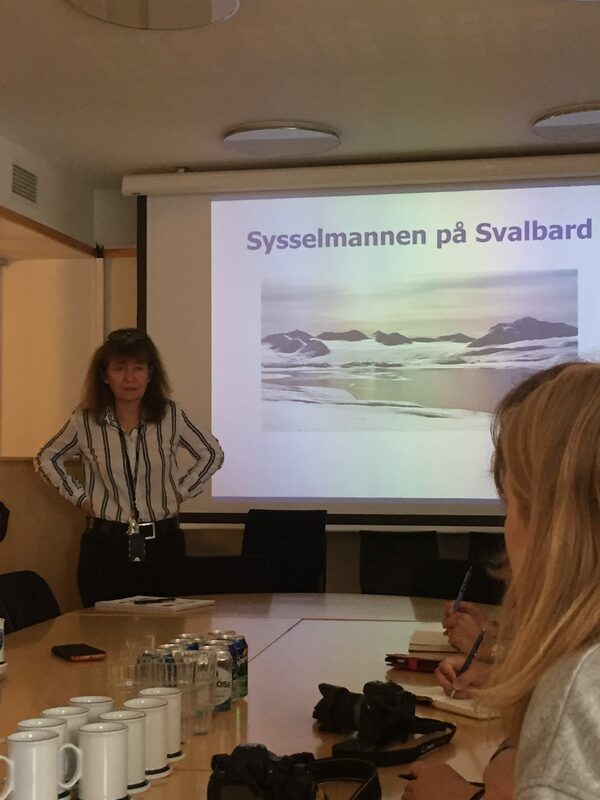 The Governor of Svalbard who we also visited on Tuesday, told us that people used to look at the the mountains around Svalbard as ” protective friends” who safeguarded them from a harsh climate and strong winds.This is also expressed in the local song of the Island, the Svalbard- song. Nowadays, the inhabitants have to be careful walking in the hillsides and the mountains, sometimes they are not even allowed to go close to them out of safety reasons. Some houses close to the mountains have been demolished due to damage in avalanches, and roads are closed from time to time.” The mountains, the former friends and protectors have become their “enemies” and people have mixed feelings about their mountains”, stated the Governor. It has been an eye-opening day at Svalbard, and we have learned so much from the inhabitants we have talked to. Local knowledge and community-based monitoring is definitely something we will continue to address in REGIMES and INTAROS collaborative projects.